Wow! It's so hard to believe that it is already December! Although our view is still palm trees and beautiful Caribbean mountains, we are feeling the Christmas spirit. We hope everyone had a wonderful Thanksgiving holiday. We want to thank everyone who thought of Potter & Clay Ministries on Giving Tuesday. We appreciate your gifts so much. It's always encouraging to us to see how the Lord orchestrates to provide for Potter & Clay's needs. *If you did not get a chance to give but would like to, you can check out some unique giving opportunities mentioned below. 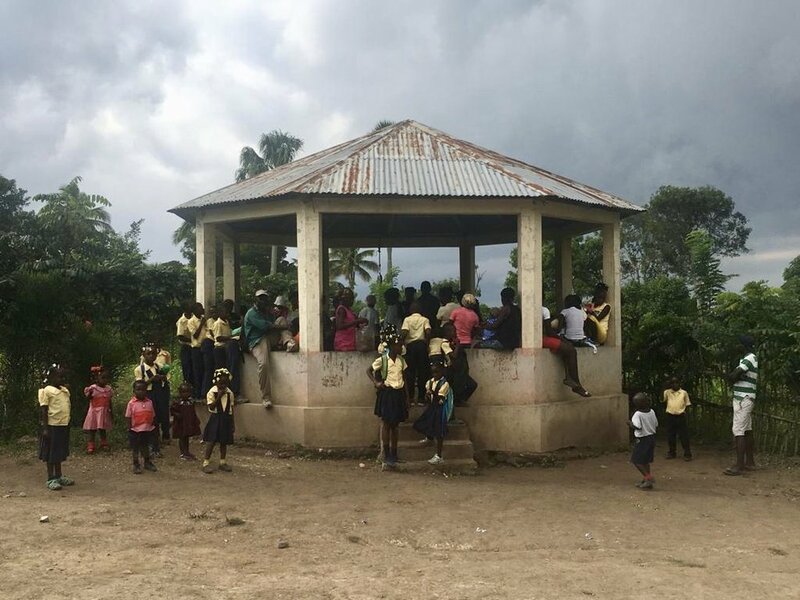 We are happy to report that Widsonn and Woodkenley (read more about them in last month's update here) have both gone home! Woodkenley is returning to Potter & Clay with his mom each week to receive outpatient treatment. We are all so thankful he is well enough for his mom to be able to return to work. Filonese was admitted this month weighing just 11 pounds at 10 months old. Before coming to Potter & Clay, Filonese's mother had sought care for her in multiple places. 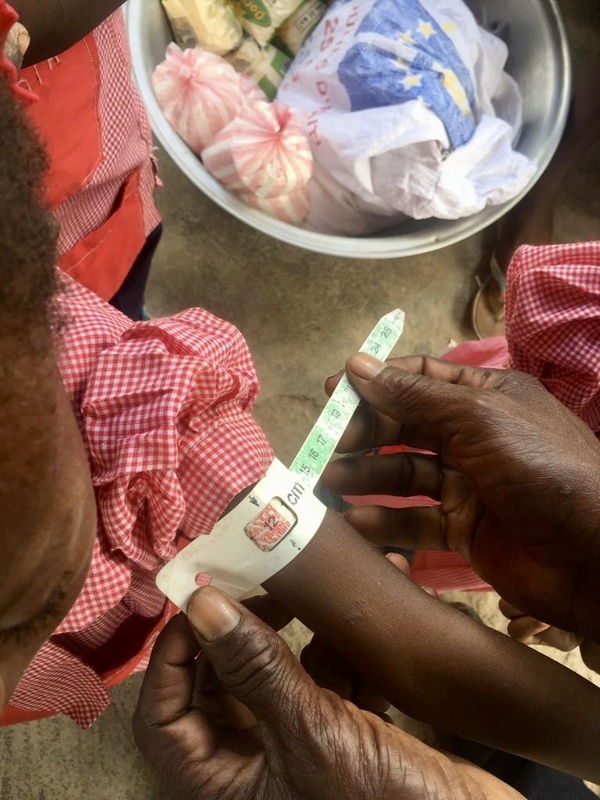 Because of her kwashiorkor (a protein deficiency which causes swelling through out the body), each attempted treatment would temporarily help, but after some time she would begin swelling again. It was after a health agent referred her to Potter & Clay that she finally received the care she needed to help her swelling go down completely. Filonese is just one of the reasons that community outreach is so important to us, as well as building a strong network with health agents across the Northwest. Upon arriving at Potter & Clay, you wouldn't have known that Kerly possessed such a beautiful smile! Weighing just 16 pounds at 15 months old, he had no energy to laugh and play like an average child. After only a week of receiving what his body needed, the cutest smile and giggle began to emerge. He has a special way of making every one laugh and gives the sweetest hugs and kisses. In coordination with each zone's health agents, the Potter & Clay team conducted two community weighing sessions in the month of November.Most parents have no way to monitor the growth and weight gain of their child. These sessions are a way to help parents track their child's progress, provide education about nutrition and our services, and identify the children and areas that need our services the most. Our first weighing session was conducted in a small community called Damè. Our day in Damè started with everyone circled in prayer and ended with someone chopping down fresh coconuts for us to drink.These small gifts of appreciation are priceless to us! Our team's second weighing session was held in a small octagon in a community called Bochon. We were so encouraged by the local health agent's excellent work. We are looking forward to partnering with him, as well as following up with three children from Bochon who were referred for services at Potter & Clay Ministries. A precious moment captured: Sweet LoLo is "reading" his Jesus Storybook Bible. Prior to the picture, one of our nannies, Maudline, was reading the story of David and Goliath to the children in our inpatient program. The most encouraging part was to see Woodkenley's mom watching and listening intently. 1. Lift our staff in prayer as we all work to finish out 2018 strong. 2. 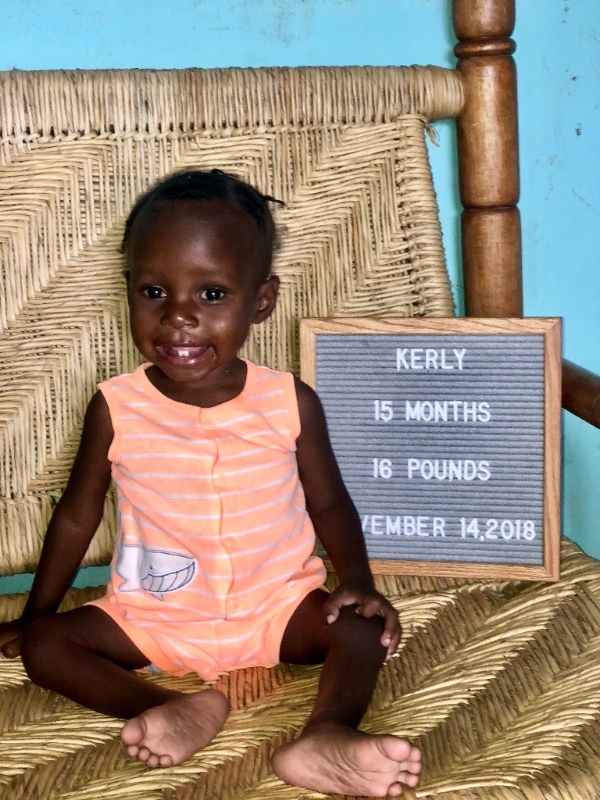 Pray for Kerly and Filonise to continue to gain weight, also for Filonise's mother to be encouraged throughout her time at the malnutrition center. 3. As the end of the year approaches, please pray for us as we set goals and raise funds for a prosperous 2019. 1. We are so thankful for all of you who pray for us and give financially to support us! 2. Our recent networking with local health agents- we have already seen so many doors open to reach more families! 1. Amazon Wishlist - We would love to gift each of our staff members with a backup battery for their cell phones! For just $14.99 per gift, we can give each of them a very special and useful Christmas present! 2. 13th Check for our Staff - Each year in December, our staff gets a government mandated 13th check. If you would like to contribute to our deserving staff's bonus, you can donate here. 3.Technology Donations - If you have any unlocked smartphones or HP or Dell computers that aren't being used anymore, we would love to take them off your hands and put them to use in our programs! Send us an email at staff@potterandclay.org and let us know. Thank you for being involved in Potter and Clay Ministries. Each of you make our work possible and we are so thankful for your love and support!